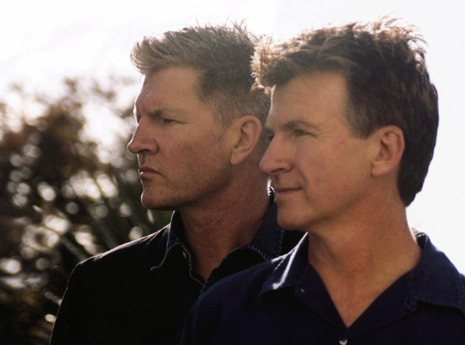 I saw Tim and Neil Finn open for 10,000 Maniacs way back in the hairspray eighties, before Natalie Merchant turned into a banjo-playing folk recluse. Though back then my tastes ran to the produced radioplay of Finn-led popgroup Crowded House, there was something arresting in the simple guitar interplay and close harmonies of the Brothers Finn, riding high on first big Crowded House single Don’t Dream It’s Over. Their songs revealed a surprising poignancy once the wall of sound came down — one that still comes through powerfully, despite the ravages of age in their voices, on their recent Finn Brothers release, and in the newly-reincarnated Crowded House that was all the rage at Coachella this year. Since then, I’ve learned that Tim’s the new-waver and Neil’s the pop star. Tim’s solo work includes singles but no hits, which is a shame, really: he writes decent if simple melodies, and his more recent work is stark and fine, but he’s spent much of his career burying it under synthesizer and make-up. The rest of the record-buying public seems to appreciate Neil’s slightly softer songwriting more, if sales are an accurate indication. In my experience, though, when they write together, as they did for most of 1991 album Woodface, the end result is the best of both worlds. The above cuts plus other beautiful coverversions, all by female Australasian artists, can be yours with the purchase of She Will Have Her Way; I recommend that you buy the bonus version, which is cheaper and includes all the originals, too! Chambers’ solo work is not available through her website, but amazon.com has acceptable prices. The acoustic intimacy of Finn Brothers release Everyone Is Here is gorgeous; I hear the new Crowded House album Time On Earth is good, too. Or there’s always 1991 popgem Woodface, available on the cheap at your local bargain bin. *Originally, Persuasion was a Richard Thompson instrumental theme written in 1991 for the movie Sweet Talker; Tim Finn liked it so much that he added lyrics and re-recorded it. Richard and Teddy cut this version with Finn’s lyrics in 2000. Technically, that doesn’t make it a cover, but I think it qualifies as a “re-cover”, so I’m going to let it stand. 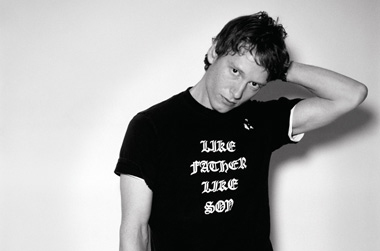 British born and New York based alt-musician Teddy Thompson released Up Front and Down Low, an album of classic country covers, in July, and it says what it needs to about his underdog status that a) the disk has only been released in the US, and b) neither the blogosphere nor any other market seems to have noticed. Heck, I was startled to discover it myself as I researched today’s entry, and I spent an entire summer listening to nothing else but Thompson’s second album Separate Ways, a perfect, crackling masterpiece of self-pity topped off by a hidden Everly Brothers track. One of several second-generation musicians emerging from under their parent’s wing to startle a new generation, Teddy Thompson has not yet managed to ring the bell of fame that fellow secondgen artist and bad influence Rufus Wainwright has. Nor has he found his audience, yet — being compared to Crowded House in one review and Jackson Browne and David Gray in another provides a pretty broad range. But if Thompson remains unknown, it’s not for lack of musicianship (though in the case of his newest outing, it may be because the country market is not his niche). Thompson’s music is only folk in the broader sense, but his folk credentials are solid: son of old folkies Richard and Linda Thompson, born and raised in a Sufi commune, Thompson Jr. shares his mother’s sweet, clear, etherial voice, and his father’s penchant for bitter lyrics full of the seamy underside of fame and drug culture. The combination is powerful, and even if his guitar playing is still on the cusp of maturity, using his parents and peers in the studio has, so far, made up for that lack. I am confident that Thompson’s music will eventually win the hearts and minds of a full generation once he returns to his original songwriting. In the meantime, here’s two songs Thompson covered for the 2006 Leonard Cohen tribute film I’m Your Man, where he stood out among some pretty heavy compatriots, including Wainwright himself. Tonight Will Be Fine comes especially recommended — something about the bittersweet lyrics and the slow pace suits him, I think. Still haven’t heard Teddy’s newest album, but I’d buy enough copies of Separate Ways for all of you if I had the cash. Since I don’t, you should head over to his website and pick it up for yourselves — and if you get the new one, too, let me know how it turned out, will you?